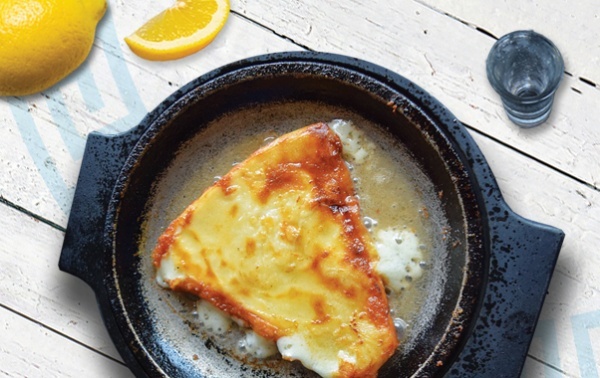 Golden pan-seared Kefalograviera cheese flambéed at your table. Topped with freshly squeezed lemon juice. 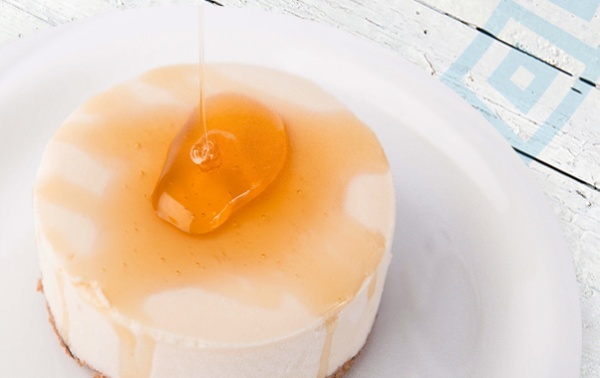 A delight to any cheese-lover. Served with your choice of bread. Generously drizzled with extra virgin olive oil, red & green pepper and onion relish. 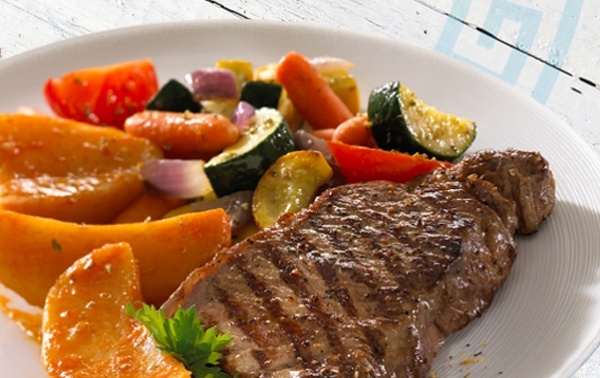 Served with a fresh juicy grilled lemon and your choice of bread. Dusted in seasoned flour and lightly fried. 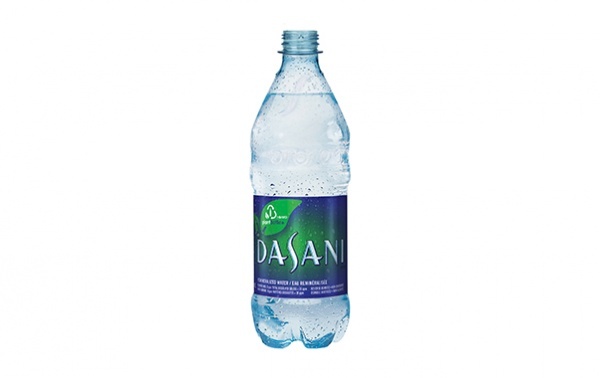 One taste and you'll know why we're Canada's favourite kalamari. 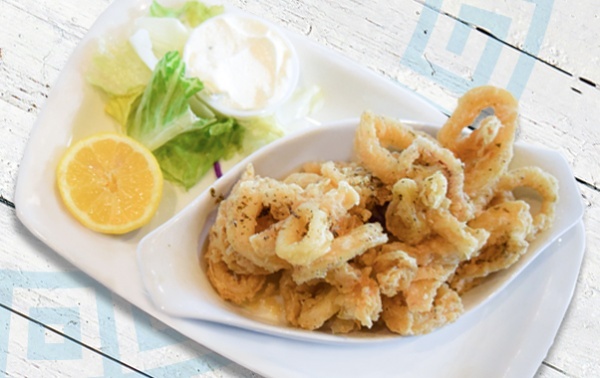 Served with tzatziki and your choice of bread. Tender marinated octopus fire-grilled and drizzled with extra virgin olive oil. 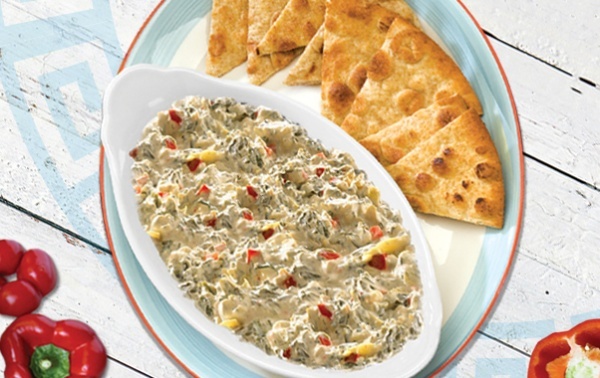 Served with a choice of a grilled pita or garlic bread. Prepared fresh daily. 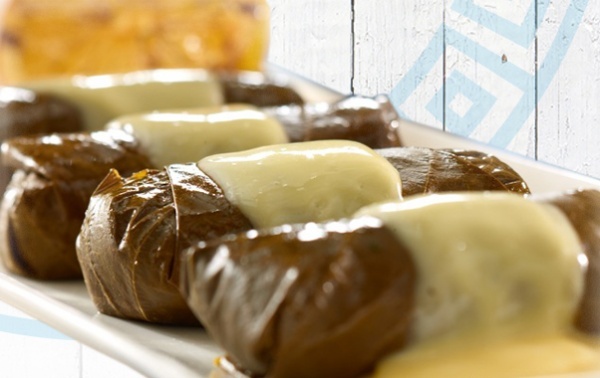 Grape leaves stuffed with lean ground beef, rice and herbs. Topped with a savoury lemon egg sauce. 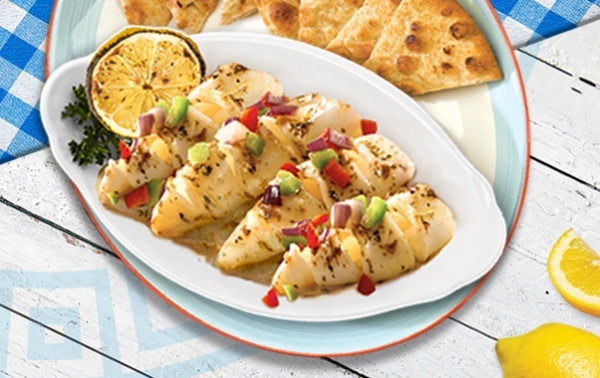 Served with a fresh juicy grilled lemon and your choice of bread. 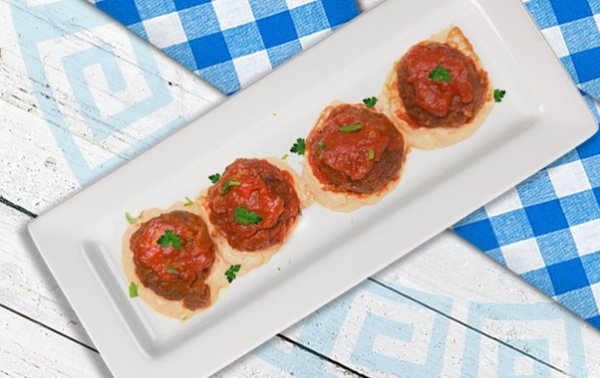 Four homemade meatballs with fresh herbs smothered in our fresh homemade zesty tomato sauce. 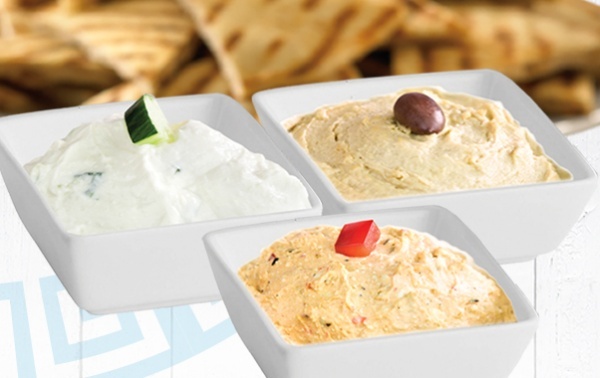 Each served on a bed of tirokafteri (spicy feta) with your choice of bread. 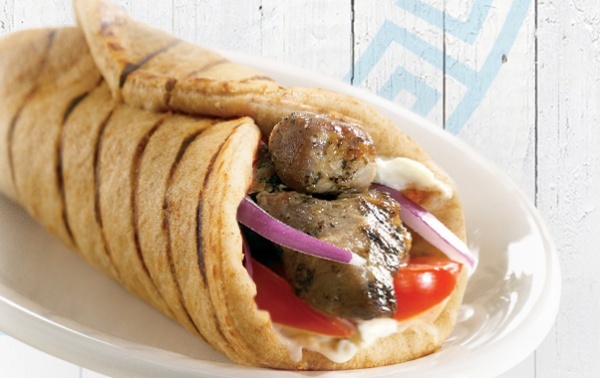 Our unique gyro recipe is served only at MR. GREEK. Prepared with traditional seasoning, rotisserie roasted and thinly sliced. Served with tomatoes, red onion, cucumber, feta and tzatziki. Served with your choice of bread. 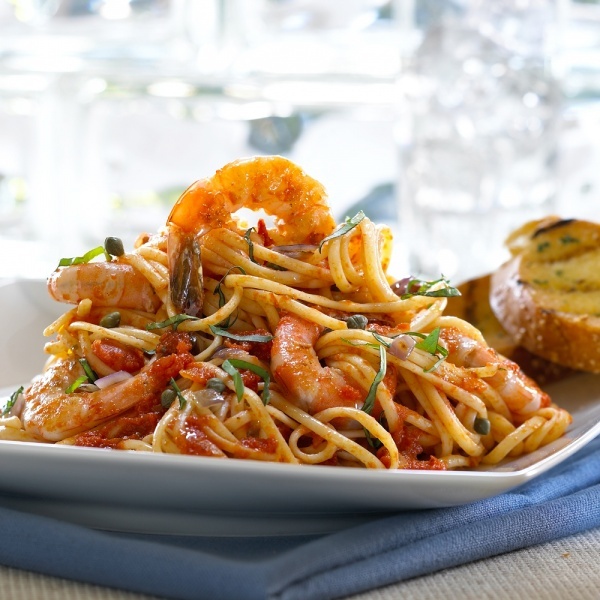 Plump shrimp sautéed with garlic, fresh tomato, red and green peppers, herbs, white wine and lemon butter. 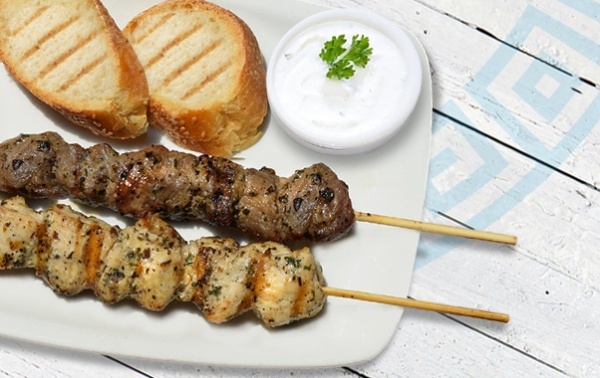 Two fire-grilled pork (240 Cals) or chicken souvlaki (200 Cals) sticks served traditionally with fresh toasted Vienna bread and tzatziki. Our very own age-old recipes, exclusive to us! 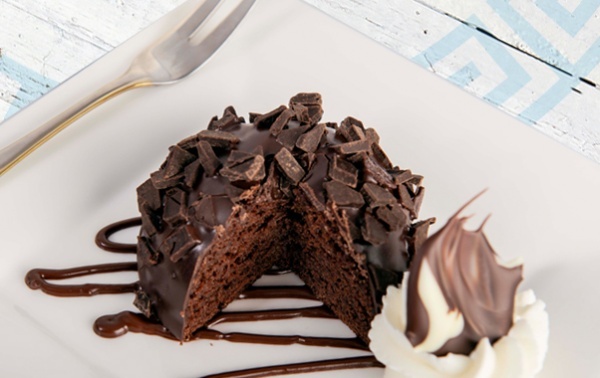 Perfect for sharing. 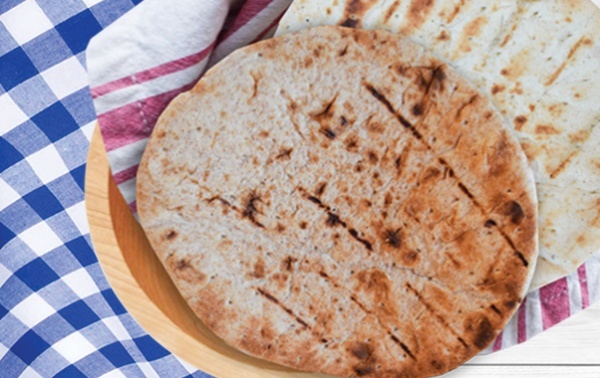 Served with your choice of whole wheat (200 Cals) or white grilled pita (210). A fresh creamy blend of spinach, grilled artichokes, caramelized onions and roasted red pepper, melted together with cheddar, cream and Romano cheeses. Served hot with a grilled pita. 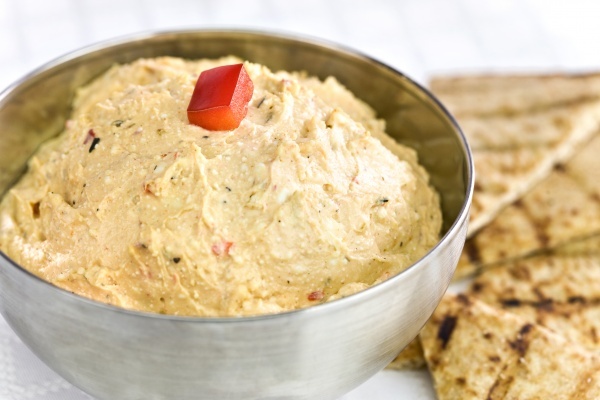 A mildly spicy crumbled feta spread with fresh roasted peppers, caramelized onions and roasted garlic with a hint of hot cherry peppers. Just enough heat to remind us why we love the Mediterranean. Served with a grilled pita. 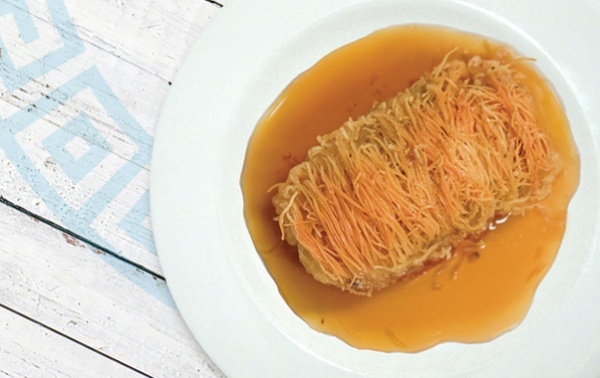 A mouth-watering spread of red caviar, caramelized onions, extra virgin olive oil and fresh lemon juice. Served with a grilled pita. 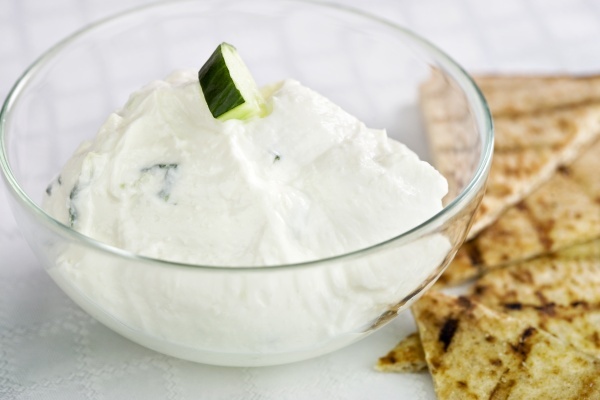 Choice of Tzatziki (160 Cals), Hummus (180 Cals), Taramosalata (390 Cals), Tirokafteri (220 Cals) or Spinach & Cheese Dip (170 Cals). Served with grilled pita. 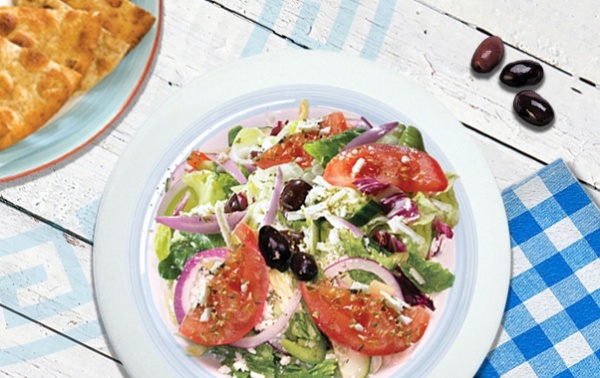 Capture the colour of the Mediterranean with fresh hot house tomato, cucumber, green pepper, red onion, feta, Kalamata olives, extra virgin olive oil and fresh oregano. Served with your choice of bread. 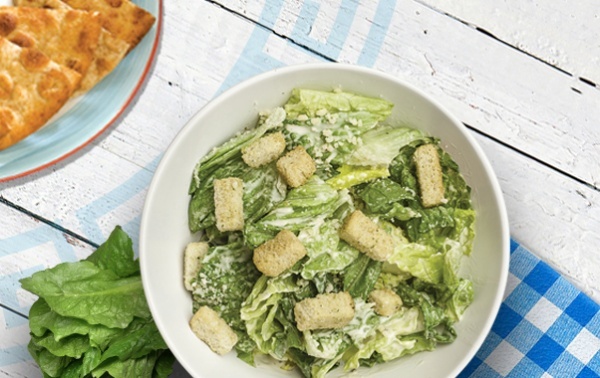 Add a chicken or pork souvlaki stick to any salad. 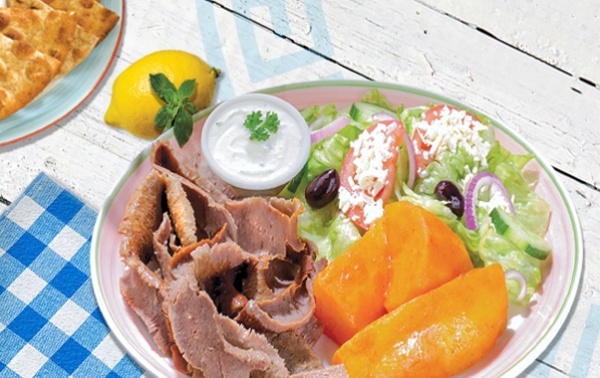 Thinly sliced traditional gyro served with your choice of 1 side, Signature Greek salad, tzatziki and your choice of bread. Hand-cut premium petite tender beef, red onion, green and red peppers. Grilled to your liking. 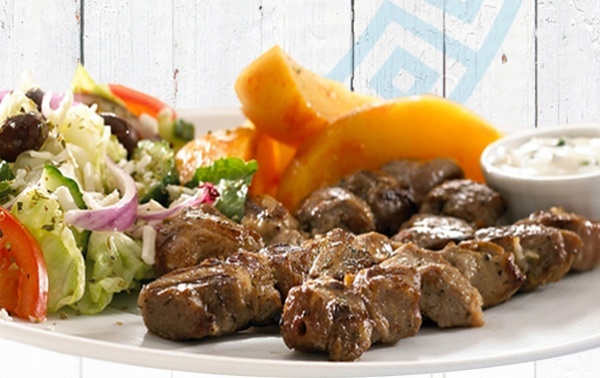 Served with your choice of 2 sides, Signature Greek salad, tzatziki and your choice of bread. 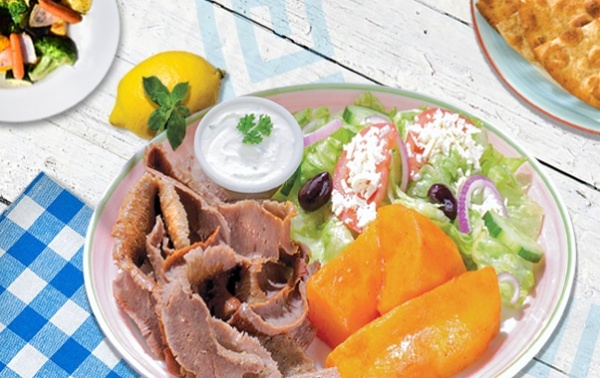 Thinly sliced traditional gyro served with your choice of 2 sides, Signature Greek salad, tzatziki and your choice of bread. Fresh grilled eggplant, zucchini, mushrooms, peppers and red onions on a skewer with two fresh tomatoes topped with baked feta. 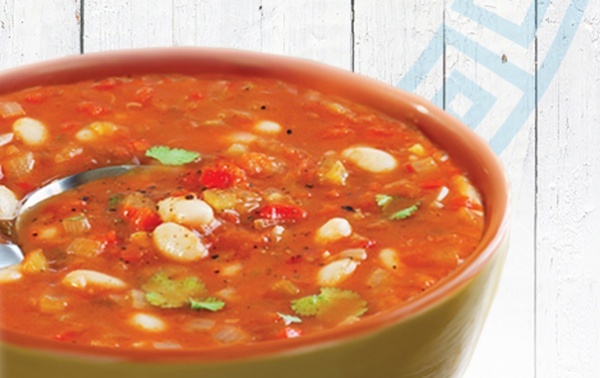 Served with MR. GREEK Rice and your choice of bread. 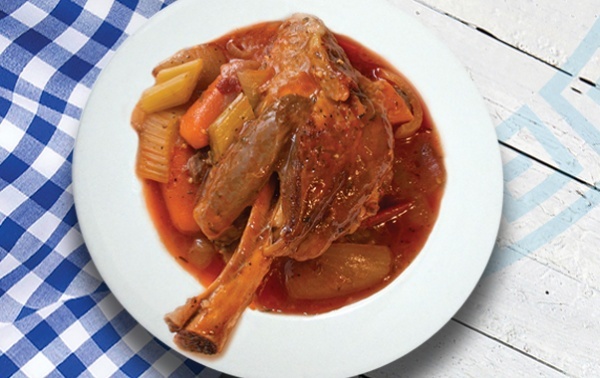 A tender fresh lamb shank slow roasted with herbs and vegetables. 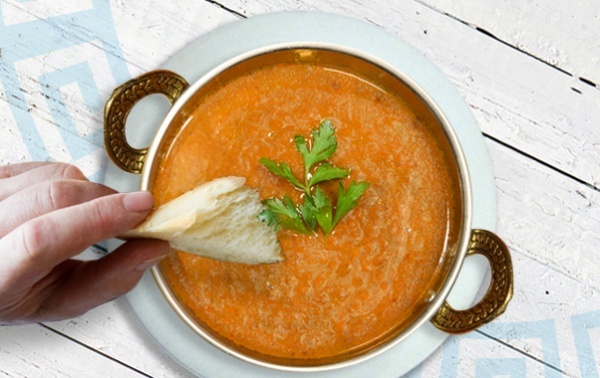 Served with MR. GREEK potatoes, roasted seasonal vegetables and your choice of bread. A marinated fire-grilled chicken filet and plump shrimp sautéed with garlic, fresh tomato, red and green pepper, herbs, white wine and lemon butter. 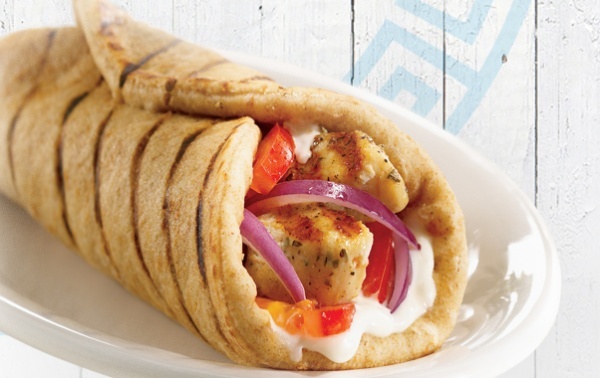 Served with MR. GREEK® Rice, roasted seasonal vegetables and your choice of bread. Two juicy marinated, fire-grilled chicken filets. Served with MR. GREEK Potatoes, roasted seasonal vegetables and your choice of bread. 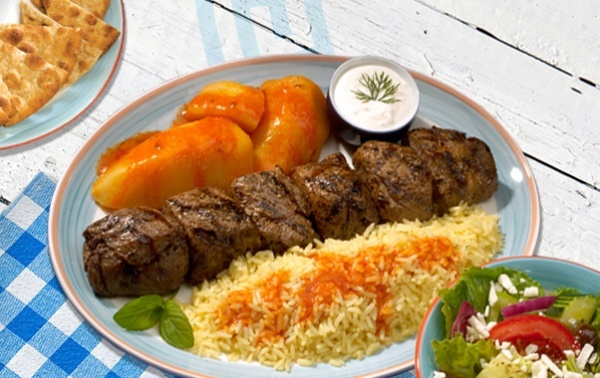 Four spring lamb chops, marinated and grilled to your liking. 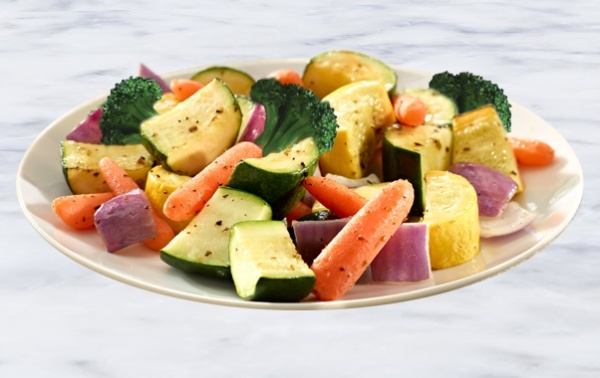 Served with MR. GREEK® potatoes, roasted seasonal vegetables and your choice of bread. 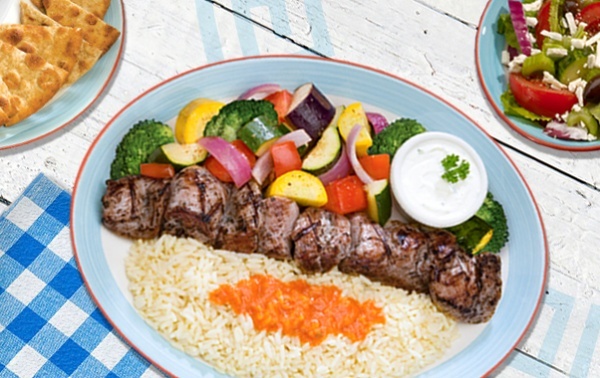 Three spring lamb chops marinated and grilled to your liking plus a marinated fire-grilled chicken filet. Served with MR. GREEK potatoes, roasted seasonal vegetables and your choice of bread. Served with MR. GREEK Rice, roasted seasonal vegetables and your choice of bread. Plump shrimp sautéed with garlic, fresh tomato, red and green pepper, herbs, white wine and lemon butter. Served with MR. GREEK Rice, roasted seasonal vegetables and your choice of bread. 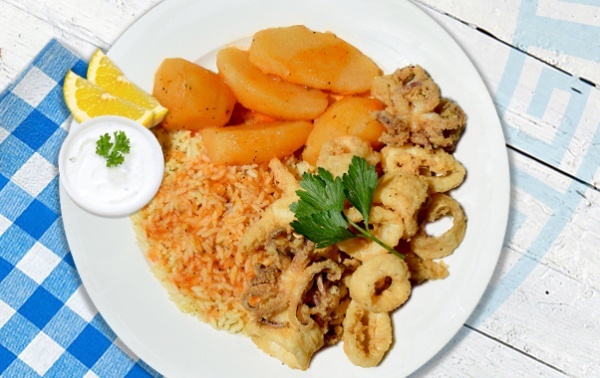 We serve only the freshest selection of fish, some imported straight from Greece. Please ask your server for today's feature. 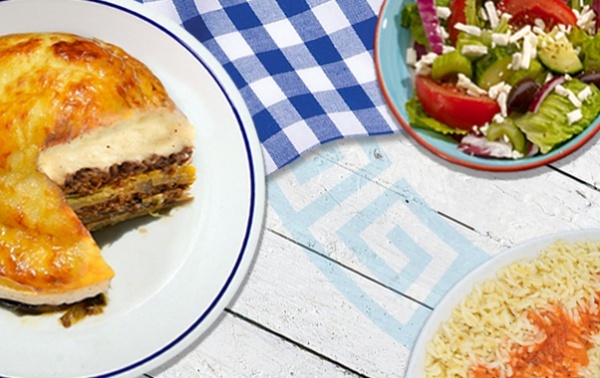 Served with Signature Greek Salad and your choice of one side. Deboned on request. New York Style Sirloin 8oz. Cooked to your liking. 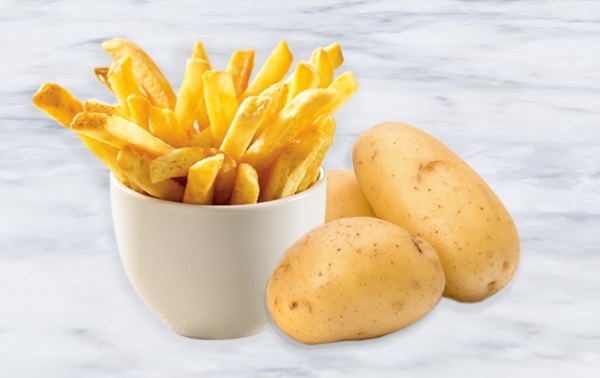 Full-bodied texture, rich marbling, incredible robust flavour and juicy tenderness. Topped with a dapple of garlic butter. Served with MR. GREEK potatoes, roasted seasonal vegetables and your choice of bread. 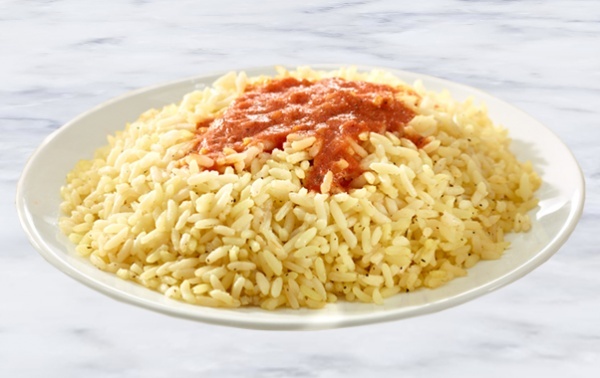 Freshly cooked al dente. Served with toasted garlic Vienna bread. Marinated fire-grilled chicken filet, roasted red pepper, fresh basil and penne. 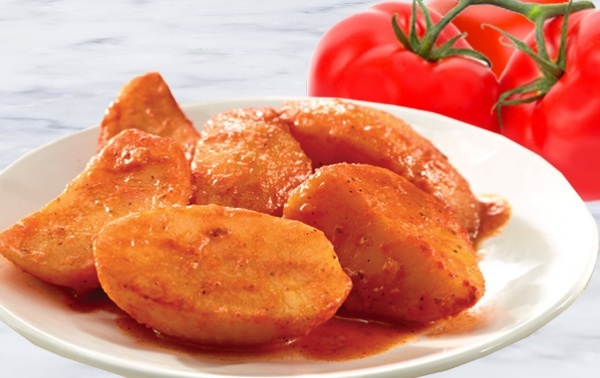 Choose your favourite sauce; a light garlic cream (1490 Cals), a rosé (1530 Cals) or our fresh homemade zesty tomato sauce (1350 Cals). 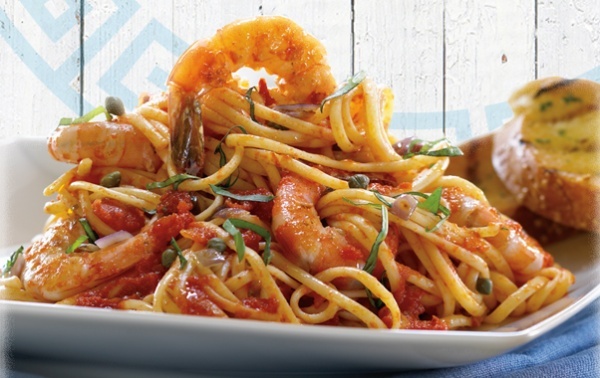 Plump shrimp with fresh garlic and herbs, sautéed in our fresh homemade zesty tomato sauce. PEI mussels, scallops, plump shrimp and kalamari with garlic, herbs and capers, sautéed in our fresh homemade tomato sauce. 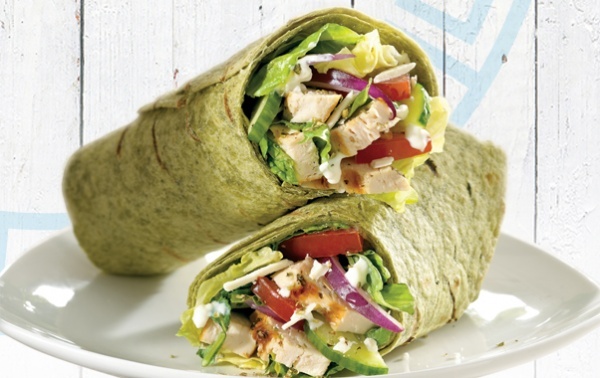 Wrapped in your choice of grilled pita or sub spinach garlic pesto tortilla +0.50 (+90-100 Cals). 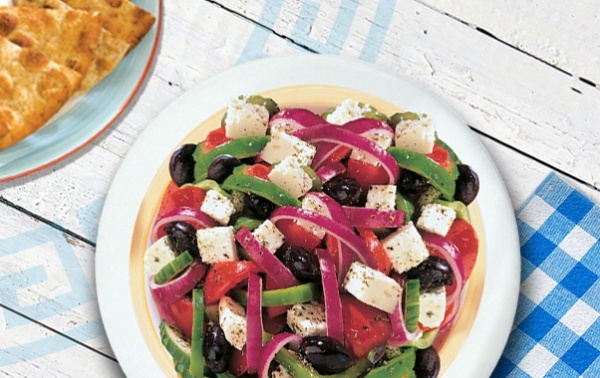 Served with a side signature Greek salad (380 Cals) or your choice of one side. Calories for sides are additional. 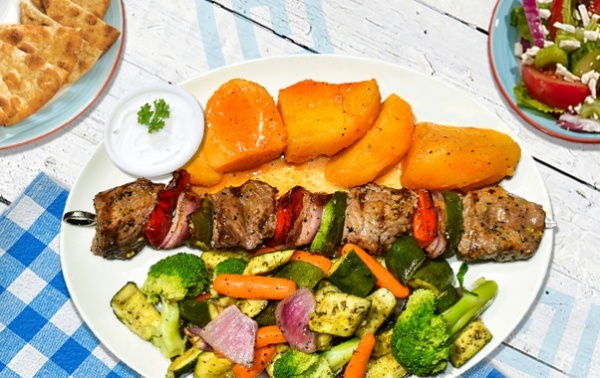 Two fire-grilled pork sticks wrapped with tzatziki, red onion and tomato. Calories for sides are additional. 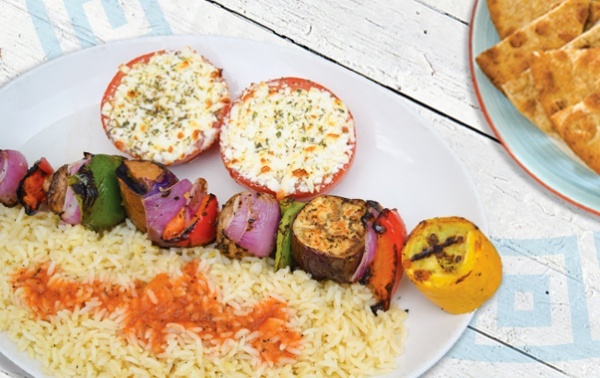 Two fire-grilled chicken sticks wrapped with tzatziki, red onion and tomato. Calories for sides are additional. 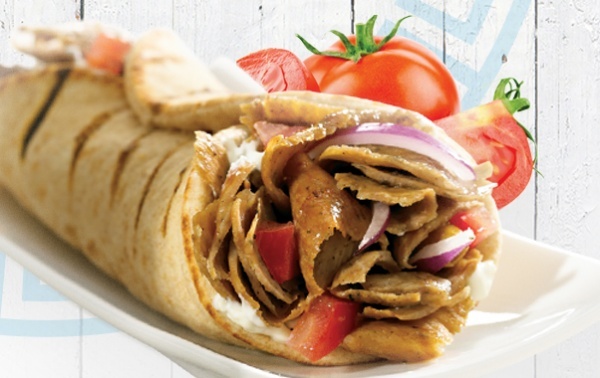 Seasoned and thinly sliced rotisserie roasted lamb and beef, wrapped with tzatziki, red onion & tomato. Calories for sides are additional. Served on spinach pesto garlic tortilla and served with a side signature Greek salad (380 Cals) or your choice of one side. Calories for sides are additional. 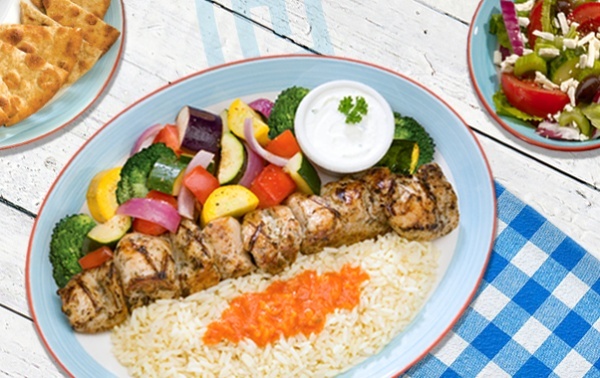 Marinated fire-grilled chicken filet, tzatziki and Signature Greek Salad wrapped in a spinach pesto garlic tortilla. Calories for sides are additional. 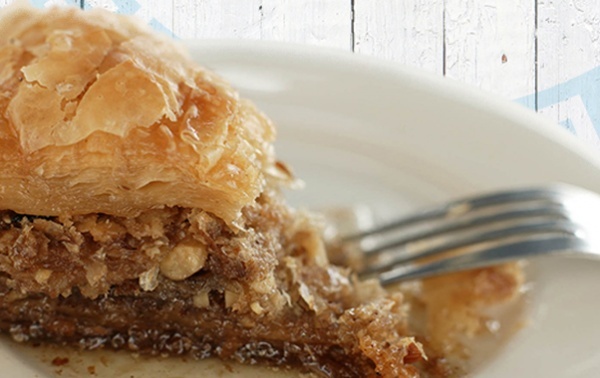 Hand-made with fresh phyllo pastry, clarified butter, pure honey, zesty lemon and premium walnuts and pistachios. One bite is never enough! An ultimate chocolate aficionado delight of European chocolate, creamy Greek yogurt baked to perfection, hand dipped in dark chocolate and covered with dark chocolate chunks.